Strategic planning is a process to help you determine where your organization is and where you want it to be in the future. Strategic planning can help you answer how your nonprofit organization advances its mission and how you engage staff and the board to identify measurable goals and priorities. This training will review the strategic planning process so you will be prepared to create and implement your organization’s strategic plan. This training is designed for those in leadership roles who are responsible for setting the organization’s direction. It will be delivered online over the course of 5 weeks, beginning on February 26, 2018. Each week, except for the introductory week, will include a facilitated webinar. 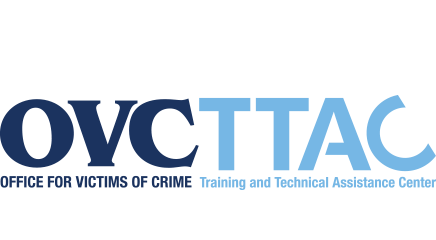 The Strategic Planning training is part of the NVAA Effective Management Series and, like all of OVC TTAC’s trainings, there is no cost to participate. When you complete all components of this training, you will receive .8 Continuing Education Units. 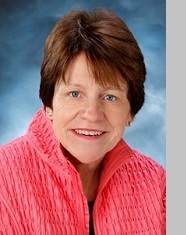 Cynthia Hedge serves as the chief operating officer of the Center for Creative Solutions. She manages the day-to-day operations of this nonprofit agency, which is dedicated to personal, organizational, and community development. In addition, she consults with businesses and nonprofit agencies to assist them with strategic planning, board development, and staff training in areas such as creative problem solving, leadership, creativity, planning, team building, managing change, and communication. Ms. Hedge received her J.D. from the Valparaiso University School of Law, a graduate certificate and an M.S. from the International Center for Studies in Creativity and Change Leadership at Buffalo State College (SUNY), and a B.A. in Journalism and Political Science from Indiana University. 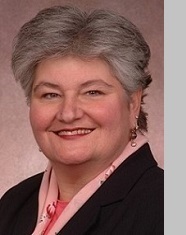 Barbara Paradiso has worked on behalf of victims of domestic and sexual violence for more than 30 years as an advocate, administrator, and activist. She is the founder and director of the Center on Domestic Violence at the School of Public Affairs, University of Colorado Denver (CU Denver). She has facilitated the strategic planning process with numerous community-based organizations, including police departments and small and large nonprofits. Prior to her position at CU Denver, Ms. Paradiso served as the director of domestic violence programs for the Sunshine Lady Foundation of North Carolina. Ms. Paradiso received her master’s degree in Public Administration from CU Denver. All webinars are conducted from 11:30 a.m.–12:45 p.m. (eastern time). The sessions are recorded, so if you are unable to participate in a live webinar, you will be able to listen to the recording. Week 1: Introduction to Strategic Planning, March 5–9, webinar on March 8. Week 2: Assessing the Readiness of your Organization, March 12–16, webinar on March 15. Week 3: Creating your Strategic Plan, March 19–23, webinar on March 22. Week 4: Implementing and Communicating your Strategic Plan, March 26–30, webinar on March 29.